Akshara was furious with Aditya, neither she could understand his intentions nor digest it. 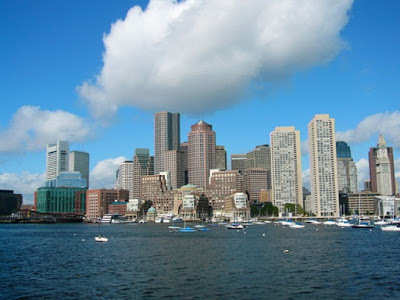 Adi was standing on his apartment balcony facing the Boston skyline. "Adi, i need an answer for my question...." she said. "Answer? for what?" he asked her back as if he never heard anything. "U think you're smart? what is the point you're trying to prove?" she was really angry. "Aksh, relax man...i here to prove no one nothing...." he said without looking at her. "Adi i know you have feelings for Ananya, but when she herself told that she likes you why do you have to tell her that Siddharth like her and she should know that" - Akshara could not hide her irritation. "It is true but it is also very much true that you too like her and more than anything the truth is she loves you" she quipped. "Can we talk something else...." Aditya wanted to get rid of this topic "I need a coffee, would you wanna join me" he avoided answering her. "Atleast today you should have told her when she came over to our office to give her invitation card"
"Chill Aksh, get me a nice coffee.." he cajoled her. "How can you? OK watever.....can't talk to you." She turned and picked up her wallet. "Dont get mad at me Aksh, things are just fine"
"But she is getting married to Sid in a couple of weeks, don't you think atleast now you should tell her"
Akshara held his hands assuringly and said "Dunno what to say but i wish you be happy...ok time for me to leave see you tommorrow in the office"
"Sure ! Taxi..." he stopped the passing cab "Bye..take care" he waved at her. "You take care Adi" She replied back with a concerned face. Adi was walking back to his apartment mulling over the turn of events over the last 14 months. He moved from Atlanta to Boston for a new project. The first meeting with Ananya rolled in front of his eyes. One evening he was returning from the office and suddenly the sky opened up. He ran into a nearby Starbucks and ordered for a Latte and was looking outside. The waitress kept a cup on the table and he instantly took it in his hands busy watching the rain outside. "Err! Does it really taste like Latte ? I doubt it" He heard a sweet voice right behind him. "What?" he turned and looked at this girl standing behind him with a bright smile. She was not tall, but was perfectly slim, fair and the smile on her face would capture thousands of hearts. She was wearing a cream capris and a olive green tops. He could see the thin long drop earrings dancing when she casually put a strand of her hair behind her ears. All these happend in a flash of a second. "Why and do we know each other?" he asked her with a confused look.
" 'coz I ordered a Mocha and it found the comfort of your hands" she said. Adi was ashamed to have taken a cup that was not his. "Oh! Shucks....I am terribly sorry " He extended the cup towards her. "That's ok, if you like Mocha yu can have it, i shall taste your Latte" she continued "Ananya..." She extended her hands towards him. "No thanks! btw i am Aditya" He had to struggle with the cup before he could take her hands for a quick intro. "What a way to start a friendship....." He smiled again and showed a corner table where they both settled for the next half hour. Outside the window, the rain had just ceased and he could see the red lights outside from the wet glass pane. Adi stopped at the red light, and also he came back to his senses. He had to wait for sometime before the lights go green for him to cross the road. A week went by and that morning Akshara entered the office and as usual saw the bulletin board for any new info. She was surprised to see Adi's CAR ON SALE ad. She went straight to his cabin. "Adi what are you upto?" "Hey Aksh...howz yu dear?" He pulled the chair next to him for her to sit. "I can say thousand dear but you relax...." he smiled at her and took her hands. "Stop smiling, for once i hate to see you smile........" she pushed his hands. "..........." there was a silence in the bay. "When -this monthend....and why-i had to...." he responded turning towards his monitor. "Without even telling me....and wat do you mean by had to ???" She asked him back. "Aksh, i'll tell you everything in detail...trust me...now i've got some quick things to finish before deadline. Will catch ya after work dear...bear with me" he patted her shoulders. Akshara was visibly upset and walked back to her seat like a zombie. She could not wait for the work day to get over. The moment clock struck 5, she sent a text msg asking Adi to pack up and start. immediately she shut her system down and went straight to his seat. Adi was shutting down his system. "Adi, i would want to tell me what's goin on in your mind" she killed the silence. "Nothing Aksh....We need to buy gifts for Ananya...."
"I have already bought the gift over the weekend, we're all ready for tomorrow" she said and ddn't ask him anything. The next day Adi and Akshara went to Ananya's wedding. The wedding was happening in a local hindu temple. Ananya and Siddharth looked made for each other. Adi was looking at ever smiling Ananya and Akshara was watching Adi all the time. "Thanks very much Adi and Sorry for everything, i had always wanted a nice,understanding guy all through my life for years and years to come. I realise now at this moment that Sid would be there for me forever giving me that comfort and i trust him fully. I dunno how immature i was when i came to you and it was so nice of you to make me realise whats in store for me with Sid..thanks again...." before Adi or Ananya could say something someone called Ananya and she went saying "Excuse me will talk to you folks later..."
Adi walked in and took a small file and handed it over to Akshara and went back to his balcony. Akshara went through the file and tears were rolling down her eyes. her body was trembling as though she was in north pole and face became pale and tears fell from her eyes like a falls during monsoon time. The file had the news of Adi suffering Acute myelogenous leukemia (AML) and his chances of survival are limited. She was weeping and went running towards adi and hugged him and cried her heart out. "I know my end but I wanted everyone to be normal with me and not move with me just to remind me of the inevitable. You always ask na What's up with me and i should have told Ananya....but the years and years of trust that she wanted is what i cannot give her. That only Sid can give...." He said and walked inside took a bottle out of the fridge and emptied it." Akshara came to him and gave a tight hug and looked at him on his eyes which had already filled up. She never uttered a word went from his apartments. The next few days went in total silence. Even though both were meeting often and Akshara spending most of her time with him she spoke very little. Adi used to be his cheerful self trying to make pull pranks on her but she'd respond with a small smile. She helped him pack things for his return journey. Only thing that she used to ask him is "Can't you take some special treatment here itself". He'd immediately say "India has best medical facilities nowadays may be i will end up living few hundred years after taking the treatment there". On the day of his travel, Akshara came to his apartment and helped him get ready and said she'd be off to the office for a important meeting which she couldn't avoid. She'd told Adi that she would come straight to the airport immediately after the meeting. Adi was waiting in the airport for Akshara to come. Some of his friends had come to wish him goodbye. they were all in a cheerful mood pulling each others legs not knowing the real reason behind Adi leaving the country. After some time adi saw Akshara coming hastily towards him. She came and said "finally managed to be on time" gave him a bouquet that she carried and a card. They were all talking for some time before they heard the final call for the flight adi had to take. Akshara was weeping...hugging Adi...Adi couldn't react to the situation. He was feeling bad to leave Akshara like this. He said to her "Dont worry i will try to come back"
Adi was looking at the bouquet and the card Akshara had given and he was feeling depressed. He casually saw a letter kept in the card. He took it out again and it read.. I thoroghly understand your rationale behind you not accepting Ananya's proposal though you liked her. She needed support from the guy forever which you could not guarantee. So, you moved away from her and tried to be a good friend. I have always been a good friend to you (i trust so) so i realise that what you need the most now is support and understanding... forever. And, i have decided to give that to you and i can guarantee it for years and years to come. Yes, I love you and i want to be with you no matter how much ever short lived our life together would be. I know you'd not accept to this, that's why iam writing this to you and i would be travelling back to India in tomorrow's flight. I've quit my job as well. I will be back in the country and waiting for your call no matter how many years it take. Do not call me to say a "NO". You always talk about the inevitable, whatever be that inevitable be, lets fight it out together and face it. Waiting for your call and that's inevitable for me. Adi read it with a small tear drop on his eyes. He simply closed his eyes and started to think....Akshara was standing on her balcony watching the twilight sky. Good One mate. Nice romantic story, with a pinch of somber. Akshara's characterization was the best. I liked it. Good that you are back to writing ways and we expect more from you. "thin long drop earrings" ;) ?? ?